Complex Transactions- Buy, Sell, or Trade, and in What Order? Comments Off on Complex Transactions- Buy, Sell, or Trade, and in What Order? Many clients come to Dallas Jet International in need of a complex transactions. They need a different aircraft from the one they currently own. Our objective is to find out your specific needs by asking the right questions. The first question we ask is, “Do you want to own two aircraft at the same time?” The answer is typically no. Therefore, many aircraft owners have a need to sell their current aircraft before they purchase another. The dilemma owners are often faced with is, should they trade their current airplane, sell and buy at the same time, sell first or buy first? Trade your current airplane for the one you want. Sell your current airplane, and buy another one simultaneously. Sell your current airplane while a purchase is in progress. Buy a new airplane and then sell your old one. It is unlikely you’ll find a person who has the specific airplane you want that is willing to trade it for the specific airplane you have. Statistically, more people want to upgrade to a newer or larger aircraft than to downgrade to an older or smaller one. For example, very seldom does an aircraft owner want to downgrade from a 2008 model Gulfstream G450 to a 1988 model Gulfstream GIV. A perfect opportunity for a trade may never materialize, or you may wait a long time. Based on the demand for your current aircraft, Dallas Jet International can give you an idea of the probability for your particular situation. 2. Sell your current aircraft and buy another simultaneously. This is an ideal option for you if speed and simplicity is more important to you than getting the best value for your current airplane or the best deal on your new aircraft. People are used to “trading in” a car to a dealer when buying a new one. Unfortunately, the airplane market doesn’t work quite so conveniently. This sort of transaction usually means selling at wholesale (to a dealer) and buying at retail (from a dealer or end user) for maximum convenience. The dealer will tend to “over allow” (or inflate) the price of the new airplane in order to take your old one in trade. This is very similar to what occurs with used car dealers. I It is harder form your consultant to negotiate better terms on either the sale or the purchase because time is the critical factor. If your travel schedule has some flexibility, this is the best way to get the optimal value on both transactions. Your consultant can get the best possible deal on the sale of your current aircraft and the best possible deal on the purchase of your new aircraft (within your time parameters, of course) by working with each transaction separately. This sequence also ensures that you don’t have two aircraft (and the expenses, logistics and tax implications) at the same time. Since the selling process often takes longer than the process of purchasing an aircraft, and there are times when a sale simply doesn’t materialize for one of many possible reasons, you can expect a gap of several weeks to several months where you will need to meet your transportation needs some other way, like using charter aircraft. There are also tax implications for the timing between the sale and subsequent purchase. 4. Buy an airplane, then sell your current plane. If you don’t want to be without an airplane, and have the cash flow and credit to support two aircraft for a short time, this is the best option for you. This offers the benefits of buying the right aircraft at a favorable price and then selling your aircraft at a favorable price. This allows your consultant to make the best negotiated deal for you from a wider range of options when you purchase, and then when you sell. Supporting the expenses of two aircraft at the same time can involve more expense (or debt) than you can or want to support at any given time. There are companies that Dallas Jet International works with who specialize in aircraft title transfer. These companies act as temporary holding companies that can make the purchase temporarily and lease the aircraft to you until your current aircraft sells. Our recommendation for most clients is to use the third or fourth option – Complete each transaction independently. Sell your airplane then buy another. This option would provide more possibilities to negotiate the best deal on each separate transaction. We work with our clients to meet their individual needs. Referring you to cost-effective options for temporary private transportation arrangements to bridge the gap between the sale of your old airplane and taking delivery of the new one. Using an intermediary such as Time Value Property Exchange (TVPX) that will act as a holding company who will own and lease your new aircraft back to you until the sale of the old one is completed and then transfer title to you. This option expands the financing, depreciation and tax options available. Providing advice about asset exchanges, depreciation-reporting options, financing options and other resources that help you save time, money and headaches. DJI works with you on every step of this complex process. We understand that most buyers want this to work like an automobile transaction – they simply want to buy a new airplane and dispose of their old one as profitably as possible, with as little inconvenience as possible. Our experience and expertise will get you as close to that experience, given the complexities of the aircraft market. Whenever you sell business, investment property or aircraft and you have a gain, you generally have to pay tax on the gain at the time of sale. IRC Section 1031 provides an exception and allows you to postpone paying tax on the gain if you reinvest the proceeds in similar property or aircraft as part of a qualifying like-kind exchange. Gain deferred in a like-kind exchange under IRC Section 1031 is tax-deferred, but it is not tax-free. The exchange can include like-kind property/aircraft exclusively or it can include like-kind property/aircraft along with cash, liabilities and property that are not like-kind. If you receive cash, relief from debt, or property/aircraft that is not like-kind, you may trigger some taxable gain in the year of the exchange. There can be both deferred and recognized gain in the same transaction when a taxpayer exchanges for like-kind property of lesser value. Dallas Jet International works with several tax attorneys that work with our clients on tax matters. 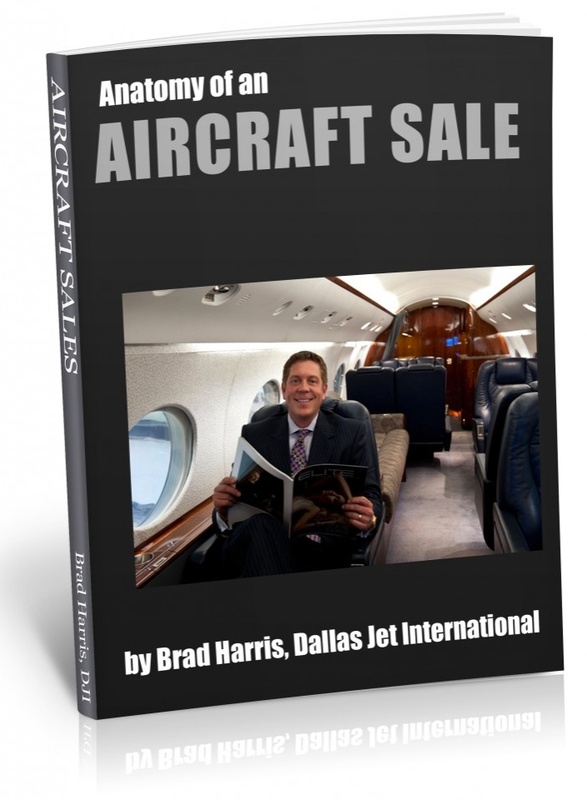 Brad Harris is founder and CEO of Dallas Jet International. Mr. Harris holds a Bachelor of Science Degree in Professional Aviation and Airway Science and a Masters Degree in human resources from Louisiana Tech University. Mr. Harris entered the aviation industry in 1989 as a corporate pilot for a Fortune 500 corporation. In 1993, he started a successful aircraft leasing and renting company which expanded to a successful aircraft management company in 1995. In 1993, Mr. Harris began his aircraft sales career and, in a very rapid fashion, became one of the most highly respected aircraft brokers in the World. In 1998, Mr. Harris started an aircraft sales, consulting, and brokerage company that is known today as Dallas Jet International. Mr. Harris is a current airline transport pilot who is type-rated in ten (10) different jet aircraft including the Gulfstream 550, 450, 350, GV, GIV, GIII, GII, Hawker 125, Falcon 10, Citation 550/500, Beechjet 400, 400A, Lockheed Jetstar II, Diamond Jet and King Air 300/350. In the many different aircraft markets, Mr. Harris parlays extensive hands-on knowledge and experience into clear results for his clientele. In addition to Mr. Harris maintaining a career focus on aircraft sales, he also has extensive experience in aviation consulting and management. Included on his client list are several clients for whom Mr. Harris and his firm have set up flight departments, consisting of aircraft crewing, aircraft management, aircraft maintenance and aircraft operating budgets. He and the firm are currently managing a Gulfstream V, a Gulfstream IV, a Falcon 50, a Citation II, a Citation ISP, a Citation Mustang, a Hawker 400XP, and two King Air 350’s.What most people do not know about Mr. Harris is that he possesses significant entrepreneurial experience in real estate and commercial insurance. This business experience, combined with his unparalleled experience in all facets of corporate aviation, has been the foundation of success for Dallas Jet International and its clients. You are currently browsing the Aircraft Sales Insights blog archives for July, 2011.